Wallace’s financial generosity was matched by the contribution of his time, expertise and energy to both the Knight-Wallace Fellowships and the Livingston Awards programs. 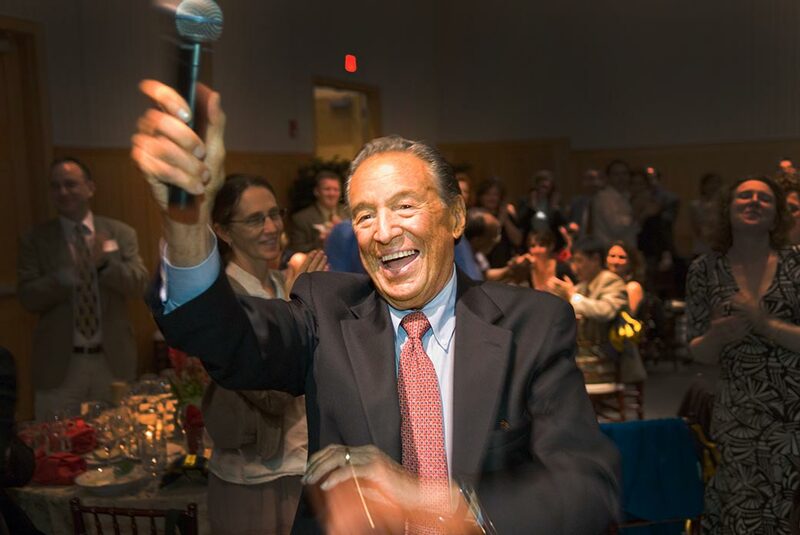 Wallace was a national judge for the Livingston Awards and played an integral role in shaping the fellowship program, as well as inspiring the journalists who were a part of it. His affection for the University of Michigan and both programs was immense and infectious. A beacon of journalistic integrity, Mike Wallace enjoyed a career that harkens back to the Golden Age of reporting. Wallace graduated from the University of Michigan and began his career in radio broadcasting, first in Grand Rapids and Detroit and then in Chicago. During World War II, he served as a naval communications officer and in 1951, he joined CBS, where he would spend the bulk of his career. In 1968, Wallace was part of the team that launched the seminal news magazine “60 Minutes.” Over the next four decades, Wallace earned his reputation as a hard-charging, no-holds-barred interviewer. His style and integrity gained him the trust of viewers and news-makers alike, and resulted in some of the most impressive and exclusive “gets” in broadcast history. His most memorable moments at “60 Minutes” were often news-making events in their own right, including his legendary 2000 joint interview with Louis Farrakhan and the eldest daughter of Malcolm X, and his 2006 conversation with Mahmoud Ahmadinejad, the president of Iran. Wallace broke the Major League Baseball scandal wide open with his 2005 interview with Jose Canseco and was the first to interview Dr. Jack Kevorkian upon the euthanasia advocate’s release from prison in 2007. In 2005, Wallace’s greatest moments included two remarkable achievements: an interview with Russian President Vladimir Putin, and an exclusive conversation with noted mathematics genius and schizophrenic John Nash. In 2006, Wallace became a correspondent emeritus for CBS, where he continued to contribute to “60 Minutes” and the network’s other news shows. Wallace’s reporting not only made history – it garnered him an arsenal of journalism’s highest honors. He earned 21 Emmy Awards, including a prestigious Lifetime Achievement Emmy, and a spot in the Television Academy Hall of Fame. In addition, he received the 2002 Fred Friendly First Amendment Award for journalistic contributions to free speech; the Robert F. Kennedy Journalism Award; three Alfred I. duPont-Columbia University Awards; three George Foster Peabody Awards; a Robert E. Sherwood Award; and the Radio/Television News Directors Association Paul White Award. Wallace was also hailed as Broadcaster of the Year in 1993 by the International Radio and Television Society.